Ah, now I understand your question. To my eye, I don’t see any cells in which the intersection of two cells actually defines a nodal point for the adjacent face. More simply, it doesn’t look like having two cells along a face actually splits the adjacent face, so all hexahedrons are still hexahedrons. And then I found a picture that invalidates the above, so I’m out. Regardless it still looks like shared faces = adjacency. "Take an internal face, compute the volume of the cell on either side and divide the bigger by the smaller". High volume ratio often correlates with a high aspect ratio. OpenFOAM will call everything below 100 “good” (checkMesh reports the inverse number, though, so it’ll tell you that everything > 0.01 is “good”). So, @jousefm, does that mean that lower face can have 4 volumeRatios (in this case that ratio is 0.125 or 8 (depending of which way you look at it) for those 4 volumeRatios)? I think that one cell of interest(COI) can have different number of volume ratio like- a cell on the outside will have different number of surrounding cells to a cell which lies inside. 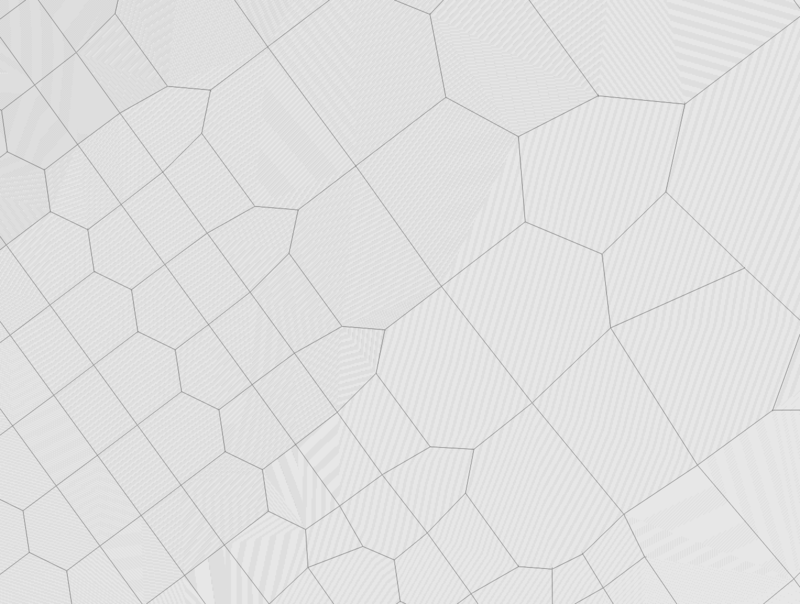 Also, the mesh contain different type of elements(hexahedral, polyhedral, prism cells) so this will also decide the number of volume ratios we get for the COI. 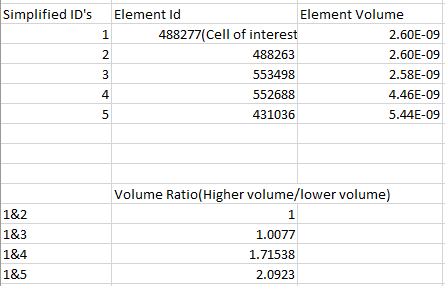 I have calculated volume ratio for a particular cell and would like to share it with you guyzz. Now, we have obtained 4 volume ratios for this cell and I don’t know what mathematical operation is further applied on these ratios(like they maybe taking an average of these values to calculate the overall volume ratio of our COI). But the upper face is not shared by any cell so only 4 values should be there. 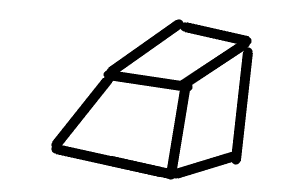 Not sure how you know that, this could be any one of its 5 faces that we see (and I think there is a chance that that face is not even planar to the screen (image plane) based on how I have seen some weird slicing depictions), what am I missing? This might help. I forgot to mention the shape of the adjacent cells. 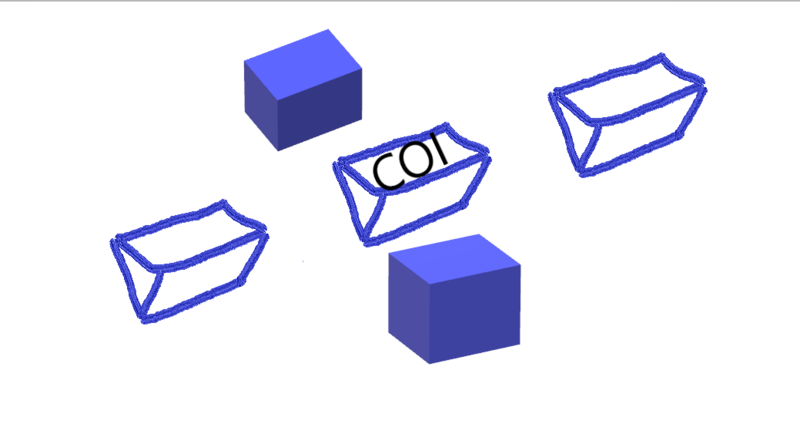 Yes, sorry, the COI face shown could be any one of 3 faces, not 5 of the pentahedron. 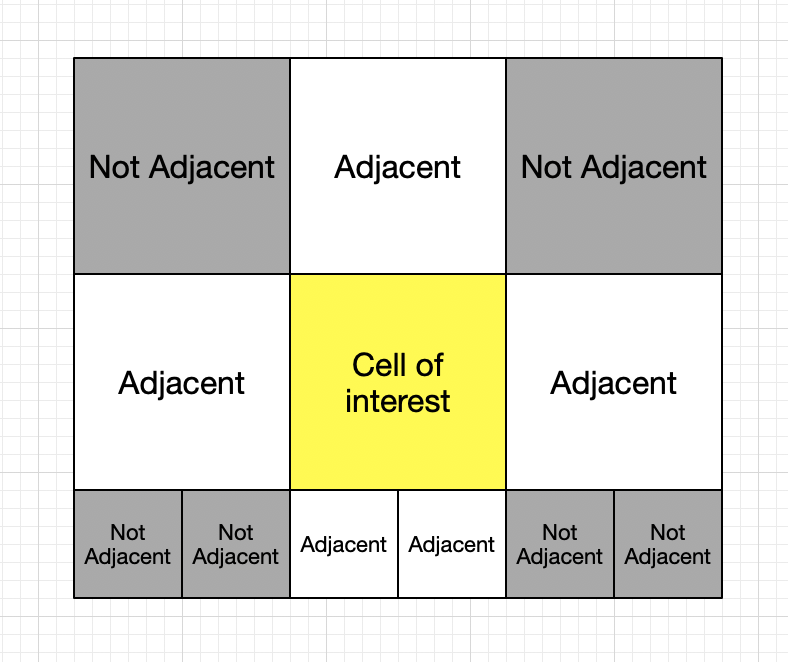 So, back to what does adjacent cells mean? And back to the 7 permutations of pick 1,2 or 3 of common faces, edges or corner points? I think that you are forgetting that there can be skewness in hexahedral cells. Yes, I think skewness could add the possibility that all 4 of your |||| cells could have face adjacent faces to the COI (but still possibly none of them could be) and in this case you have shown that we are seeing a pentahedron. To continue this discussion I think we need an answer on what does adjacent cells mean? Which brings us back to which of the 7 permutations of pick 1,2 or 3 of common faces, edges or corner points, is the meaning of cell adjacency (especially WRT our volumeRatio)? Okay @DaleKramer I think I’m ready to have you take a shot. See my Run 21 on CAC Deflected for the current best shot at this. This is the best coverage mesh I’ve been able to get without much in the way of illegal faces. I decreased sim time to 450s as that’s about when the previous best mesh converged, but it may take more. 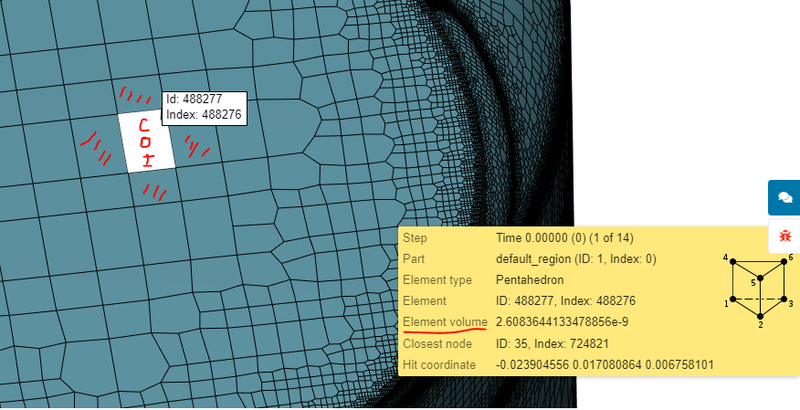 Getting this simulation complete will give us a pretty good comparison with the 6MM cell mesh with “better” Y+ values discussed earlier in this thread. EDIT: Dylan numerics did not get as far as Default in these cases, so I am at my limit of trying to get a Y+=1 Full res mesh to complete a simulation. While you all are doing some fantastic work on snappy, I’ve proceeded to attempt the mesh generation on cfMesh on my PC. The problem is, I am unable to clean up the geometry sufficiently and cfMesh simply returns “too many errors”. For this run, first attempt to disable potentialfoam, then if still unstable, try using smooth solvers for all conditions (U, P, k, w). There should be no reason why higher order schemes are not usable, but if the sim continues to be unstable, change the gradient scheme to gauss linear for grad(U). It is important to get the sim running first before attempting higher order schemes or faster solvers. @DaleKramer I’m following along… are you suggesting I should try the above suggestions or you? Do you think any of them would reduce the memory requirements? @Get_Barried CAD was built in Solidworks with special attention to minimizing small features and individual faces. are you suggesting I should try the above suggestions or you? Do you think any of them would reduce the memory requirements?